Are you ready to DOUBLE the profit in your salon business & cut your stress in HALF? This book is for the salon owner who wants to create an amazing experience for their clients, and run a successful business that leaves them the time, energy and money they need to enjoy family, friends and hobbies. 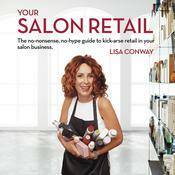 Over the past 30 years Lisa Conway has worked in salons, managed them, and owned her own · so there is very little she doesn't know about the industry. Lisa has always shared her professional and business knowledge generously with her staff and friends. Several years ago, colleagues started asking her for advice about making their salons more profitable and business-like, and Lisa now leads a team of coaches across Australia, NZ and beyond so that any salon anywhere can be amaZING! Are you ready to DOUBLE the profit in your salon business & cut your stress in HALF? This book is for the salon owner who wants to create an amazing experience for their clients, and run a successful business that leaves them the time, energy and money they need to enjoy family, friends and hobbies. Over the past 30 years Lisa Conway has worked in salons, managed them, and owned her own · so there is very little she doesn't know about the industry. Lisa has always shared her professional and business knowledge generously with her staff and friends. 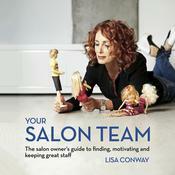 Several years ago, colleagues started asking her for advice about making their salons more profitable and business-like, and Lisa now leads a team of coaches across Australia, NZ and beyond so that any salon anywhere can be amaZING!